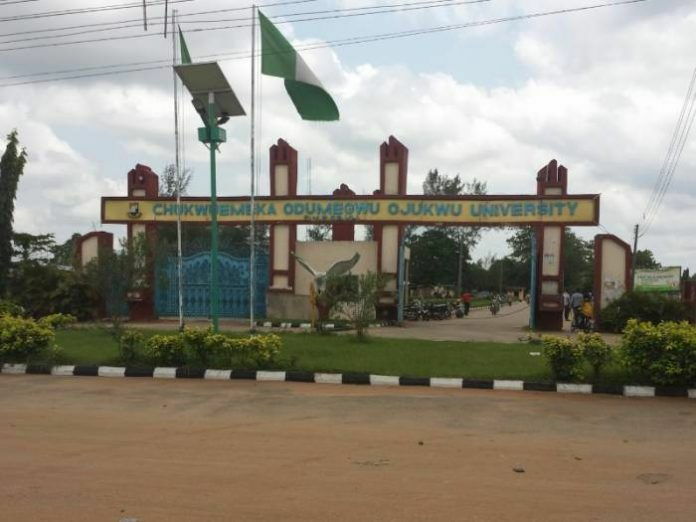 It gathered that Chukwuemeka Odumegwu Ojukwu University Anambra State has admitted over 4,300 students to pursue various academic programmes in the university for the 2018 academic session. The management of the university warned the newly admitted students to shun bad company and stay clear of cult activities. The Vice Chancellor of the university, Professor Fidelis Okafor, made this known as part of his address during the university’s last 18th matriculation ceremony. He said that the university would deal ruthlessly with any student caught in engaging in cult activities, adding that the institution has a zero tolerance for cultism as well as other vices. Recalling how the institution in a bid to ensure cult free academic environment compelled 500 students to renounce cultism in 2012, he warned them on the danger of involvement in cultism. On academic environment and development in the university, Professor Okafor described it as excellent, noting that the institution has shown itself as the centre of excellence by several laurels won in recent time in international, national and state competitions in various fields.